Uigeach ballapháipéir seasamh amach, ní hamháin ag an leas a bhaint, gur féidir leo a bheith sweep ar amanna a iarraidh agus arís eile agus dá bhrí sin, san fhadtéarma go háirithe éifeachtach ó thaobh costais, ach freisin mar gheall ar an rogha mór de dathanna agus uigeachtaí. Cé decor plain agus monacrómach le mianta baint galánta, Is ar dheis anseo. Mar gheall ar an struchtúr dromchla struchtúr- nó. Cruthaíonn ballapháipéir Faoiseamh ar na ballaí meascán tarraingteach agus beoga an tsolais agus scáth. Amach ó wallpapers struchtúracha an-éasca a ghlanadh mar gheall ar a solas ard agus friotaíocht uisce. Is féidir le deannach agus stains a bhaint go héasca le mop agus roinnt uisce. Agus duine ar bith atá ag iarraidh fós a athrú stíl gan chostas mór le himeacht ama, Tá an fhéidearthacht, éasca a phéinteáil thar a páipéar balla le dath difriúil. Sa tslí seo, conjure suas atmaisféar go hiomlán nua. 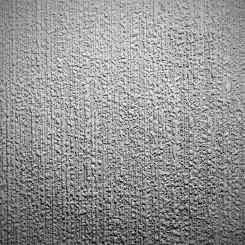 Comhdhéanta de wallcovering stylish bán thar gorm geal go dtí balla rustic i Terrakottaton éagsúlachtaí iomadúla te. Scuab gcodarsnacht nó. Is féidir le babhta a bheith ina ballapháipéir textured freisin tráth ar bith le himeall tasteful. Ba chóir Nuair a cheannach páipéar balla faoiseamh a mheas, go bhfuil dhá chineál éagsúla de pháipéar falla ais. Cibé roghnaíonn amháin le haghaidh lomra nó páipéar-ais, ag brath ar na roghanna féin. Más mian leat a phéinteáil thar a páipéar balla, mar sin ba chóir an cúram neamhchoinníollach a fheidhmiú, toisc nach féidir brú iomarcach mar thoradh ar dúlagar ar an struchtúr, a dhéanann díreach fiú na sráideanna neamhghnách de wallcovering. Ritheann an t-iarratas agus a chur as ballapháipéir textured freisin simplí go leor. Ar bhaint, tá sé tábhachtach, go bhfuil eolas cruinn ar an nádúr an páipéar balla ar ais. Dá bhrí sin, is féidir le páipéar balla le lomra-ais a bheith go héasca agus go hiomlán a tharraingt siar as an mballa, cé páipéar ar ais go dtí na gcloíonn balla. Mar riail, is iad seo, áfach, chun réaltbhuíon cobhsaí a sholáthar, ionas gur féidir leis an páipéar balla nua a chur i bhfeidhm gan fadhb ar bith ar an dromchla. Mar gheall ar an bhfíric, go bhfuil deireadh ballapháipéir textured chomh héasca, Níor cheart a bheith tempted a, an überzutapezieren. San fhadtéarma tá go ach am gan ghá ard agus costas an riosca, toisc nach bhfuil páipéar balla faoiseamh mar chúlra tacaíochta leordhóthanach. Cé a mheastar na roinnt leideanna nuair a thagann sé páipéar balla struchtúr, Beidh fad cinnte an taitneamh a bhaint a wallcovering nua.